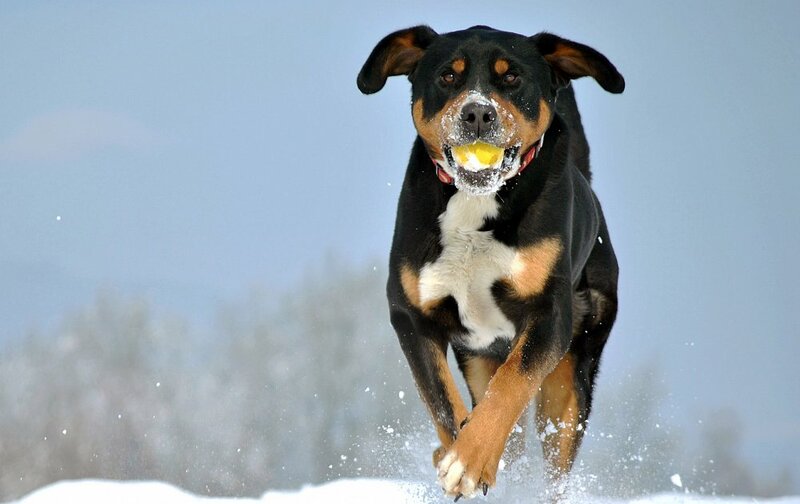 Native to the picturesque Entlebuch Valley region of Switzerland, the Entlebucher Mountain Dog is a rare breed and one of the four farm dogs originating from the country. The true heritage of the breed is subject to conjecture but it is believed to have descended from the guarding and fighting Mastiffs introduced by the Romans dating back over 2,000 years; the Entlebucher Mountain Dog, or 'Entlebucherhund' as it was earlier known, falls within the 'working' branch of canines as it was primarily bred as a cattle driver and versatile farm dog, being recognised by the American Kennel Club in 2011. The breed is rarely observed outside its country of origin. They’re muscular, long-backed cattle dogs with short, sturdy legs. They stand from 16 to 21 inches at the shoulder, with females at the lower end of the scale. Their dark eyes draw you into an attentive, friendly face. Bred to move cattle up and down sloping pastures, Entles are famous for agility, balance, and rugged determination. Easily mistaken for similar-looking breeds, the Entlebucher Mountain Dog was once considered the same as the Appenzell Cattle Dog until such was disproven in 1913. The proportionate build of the Entlebucher Mountain Dog makes this an attractive and athletic-looking dog, with small triangular ears, compact feet, a deep chest for enhanced lung capacity aiding stamina, as well as a short coat in common tricolour variations of tan, black, and white, appearing symmetrically over the body. The Young Entle can become possessive and begin to consider children to be “his own” to herd and watch over. Being exceptionally strong for his size, the Entle can easily overwhelm a child. Very careful consideration should be taken when considering adding this breed to a family with small children. The average Entlebucher Mountain Dog weighs 25-30 kg with discrepancies across gender, and has a life expectancy of 10-15 years when cared for accordingly. 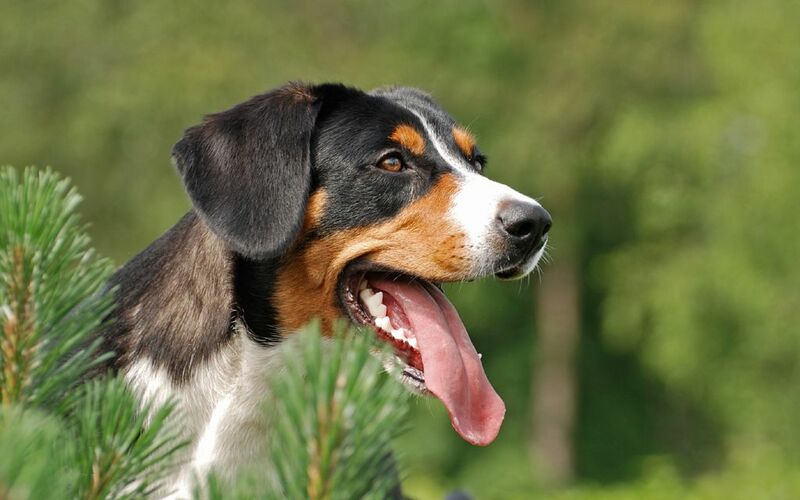 Boasting a relatively long life expectancy, the Entlebucher Mountain Dog is typically healthy and resilient. No breed-specific, genetic diseases are recognised in the breed, although due to its relative rarity, such is difficult to accurately assign.